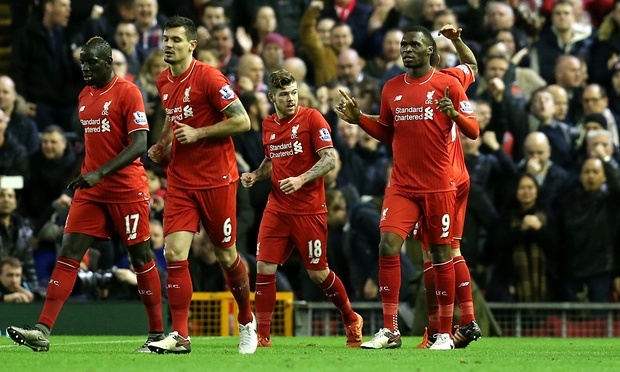 Christian Benteke celebrates after scoring for Liverpool against Leicester. Benteke emerged from the bench to give Liverpool a first win in five matches and condemn Leicester to a first league defeat since 26 September. Liverpool goal came from two players who were far from their best. Benteke started on the bench and benefited from a first-half injury to Divock Origi while Roberto Firmino looked lost for long periods before providing the chance for Benteke.